Voodoo has been carving out a name for itself by making high quality and addictive games, and Sky Rusher is their latest example. The tagline is “how far can you go?”, and it is an apt one as your objective is to fly your spaceship as far as you can go without blowing up. But going through the obstacles is not as easy as it seems. Since your goal is to control the spacecraft as it flies in the tunnels, it seems simple enough but is not. The obstacles vary in shape and size so you need to be careful while still going as fast as you can. You score points when you make it past the level and proceed to the next one. Sky Rusher is a fast-paced game and you need to be careful not to get hit. Even a slight nudge is going to take down your ship. The early levels are easy and serve as a tutorial for the game, but rest assured Sky Rusher gets more challenging the longer you play. Game controls are simple: just tap and swipe to go up, down, left or right. The intuitive mechanism is perfect for the game as you need to be flexible and quick. In some cases, you will need to maintain the ship elevation. 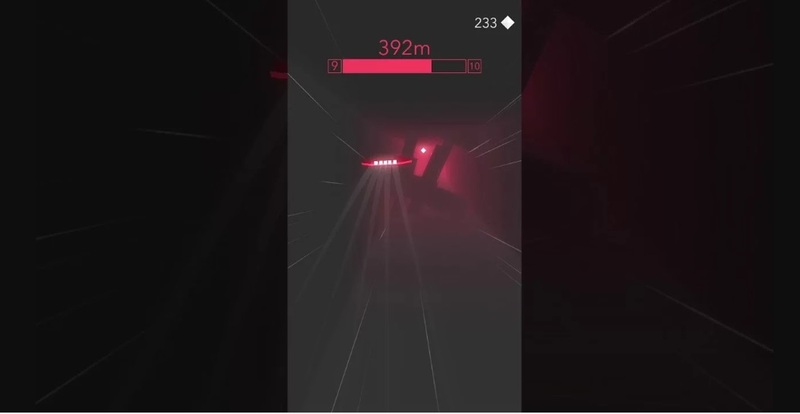 Some of the levels also have a fog that makes it difficult to see the obstacles there. Sky Rusher is set in space but the physics make it seem like you are driving a car, and that is not a bad thing. Add the cool graphics and you have one cool game here.